Overachievement is clearly the norm for pre-meds. So it’s no surprise that they’re expected to complete something ‘secondary’ months in advance. If you’re a conscientious applicant, then you probably had your primary application ready far before June 6th. But perhaps you’re more of a “pressure-makes-diamonds” type who finished just in the nick of time? Either way, you’re now entering the last weeks of secondary essay prep, so it’s time to bear down and take care of business. They might be called ‘secondary’ essays, but that doesn’t mean you can treat them as afterthoughts. If taken too lightly, they can be an applicant’s tragic downfall. Strategy 1: Pre-write, pre-write, pre-write. Did we say pre-write your secondaries? Pre-write your secondaries! We’ve said it before, and we will continue to say this until we’re blue in the face, because it’s the single biggest mistake pre-meds make with regards to secondaries. Ah. We have a solution for you. 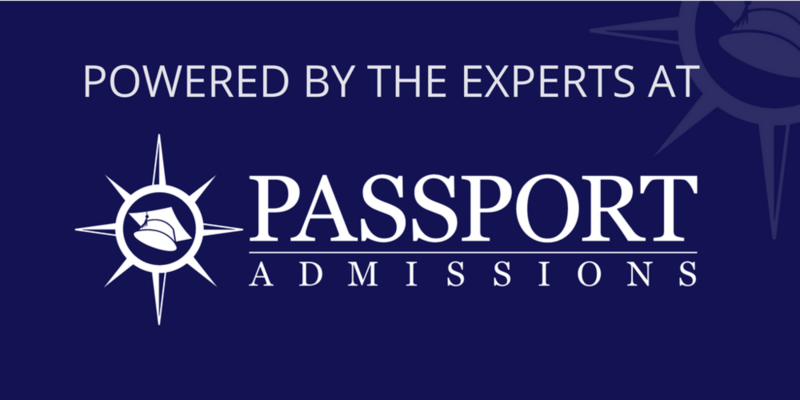 We at Passport Admissions have diligently collected every secondary essay from every medical school in the country and made them available on our website, for FREE. With few exceptions, they don’t. UCLA - same for the past 8 years. UCSD - same for the past 8 years (with a few tweaks in the character count). Georgetown - same for the past 8 years. Other schools may change it up a bit, but the changes are usually minor, so you can typically still use the old essay, just with a few modifications. Use our secondary essays to see. We have collected the past several years (indeed, in some cases, all the way back to 2008) so that you can see which schools change and which don’t. Please don’t put off these essays. Strategy 2 - Generate essays that you can re-use. The secondary essay process is like hiking over a mountain. It’s terribly daunting at first, but you become more trail savvy with each successful step forward. Once you reach the summit, there will still be more ground to cover, but it will be a painless downhill journey to the finish. To make the uphill climb less painful, focus on content that you can tweak and reuse for several schools down the road. Many students fail to realize the quantity of secondaries they must write (25-30 schools = 50+ pages of writing). Prioritize the schools with 10 or 12 prompts, since they will make each additional school that much easier to complete. UCLA (Geffen School of Medicine) is a great place to start building this answer bank. They ask for 10 different 800-character essays, which can serve as solid foundations for schools that ask for longer answers. If you’re not applying to California schools, try using our secondaries database to find another school with at least 5 or 6 generic prompts to get you started. Strategy 3 - Write in your own authentic voice. Avoid the dry, overly professional voice you might assume med schools want to hear. Maintain a certain level of formalism, but use your personal flavor to make the essays stand out in the giant pile of applications. Strategy 4 - Avoid the temptations of perfectionism. You cannot afford to dawdle on a single prompt or school for too long. Never feel as if you must squeeze in as many characters as possible. Get it done, get it polished, and move on. Don’t settle for junk, but with such a high volume, a finished secondary is a good secondary! Strategy 5 - Use the essay prompt to judge what a school wants from your essay. The phrasing of a prompt will likely indicate what the school’s looking for. Read it carefully a few times. Is it mostly asking for factual information? Or does it have a follow up question that forces you to expand ideas or attach meaning to an experience? Are there key word choices in the prompt? What values are embedded in the question, and have you addressed those values through your own stories and experiences? Oppositely, UCLA’s ‘problem’ prompt boils down to the idea of ‘growth’ in the follow-up question, which implies that the school is looking some before-and-after picture or metamorphosis to illustrate your maturity and personal development. The character limit also suggests what a school wants. A school like Yale gives you 500 words to describe why you’re drawn to its program, which encourages a lot of depth and specificity. But UCLA (see below) only allows 800 characters, a constraint that challenges a student to be substantive but also concise at the same time. With fewer characters, it’s best to use small moments or examples to show bigger lessons and ideas.